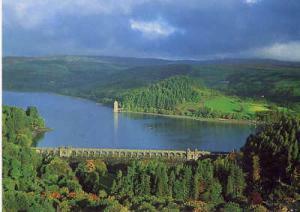 Lake Vyrnwy reservoir and dams are set in the most stunning location. 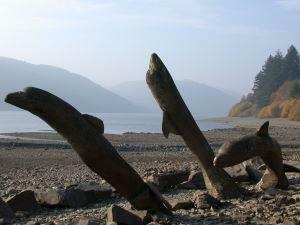 The 5 mile long lake looks incredibly natural and the surrounding RSPB Lake Vyrnwy Nature Reserve is teeming with wildlife. The huge dam across the river valley was completed in 1889, and was the first large stone-built dam in Britain built in the late 19th century by Liverpool Corporation, to provide a storage reservoir of safe water for the rapidly growing city of Liverpool. 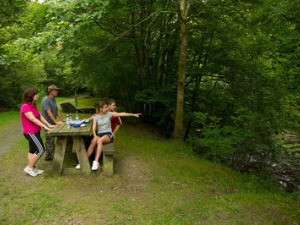 A visit to the RSPB Lake Vyrnwy Visitor Centre and Nature Reserve is a good starting point to explore the area and the Artisans cafe and craft centre offer a bike hire service. The 12 mile cycle route around the lake is a great way to take in the remote mountains, thick forest, inky black waters and the iconic neo-Gothic water tower. Nearby is Glyndwr's Way National Walking route, the Dyfnant & Vyrnwy Forest with an extensive network of bridleways and trails and the nearest towns are Llanfyllin, Welshpool and Bala in Snowdonia National Park. 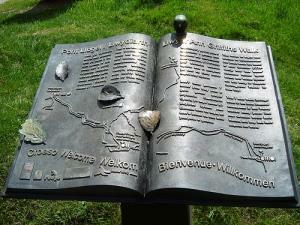 The RSPB visitor centre is the ideal places to start your visit. Join a trail through the woodland and birds are soon all around you. Although the hillside makes for difficult terrain, one of the hides in the nature reserve is accessible by wheelchair. There's plenty for children too, including nestbox trails and bat and owl walks. And if you're new to birdwatching the RSPB run regular events throughout the summer.